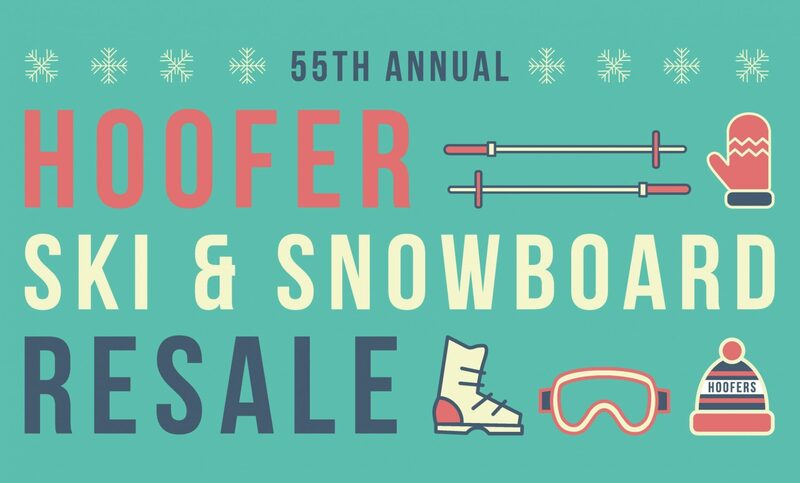 The Hoofers Ski and Snowboard Club is proud to announce our 55th Annual Resale Ski and Snowboard Swap! This year's resale will be held in Varsity Hall, Union South, on December 1 (from 9 a.m. - 5 p.m.) and December 2 (from 9 a.m. - 12 p.m.)! Resale is a great place to pick up winter gear for everyone. Official sale times are December 1 (from 9 a.m. - 5 p.m.) and December 2 (from 9 a.m. - 12 p.m.). If you're shopping for someone else, prepare yourself by bringing a list with their height, weight, and boot/shoe size (preferably in European sizing as well as standard sizing). Hoofers Alpine and Nordic Teams will also be waxing and sharpening skis and snowboards at the Resale. Prices will be $10 for wax and $10 for tuning per snowboard or pair of skis. The money goes directly to the teams, so this is a great opportunity to get your gear tuned and ready for the season! Please note that the Alpine and Nordic Teams will NOT be mounting bindings. Hoofers SnS cannot make exception to this rule. To sell your equipment, all you have to do is drop off your equipment with us and let our on-site salespeople sell it for you over the weekend! Hoofers Ski and Snowboard Club will take a portion of the sale. If you are unsure of how to price your items, volunteers at the public drop off can offer suggestions. You will be able to track the sale of your items online. You are responsible for double checking all the details of items entered into the system (price, size, description, etc.). More information will be provided when you drop off your gear. All apparel must be cleaned. We withhold the right to not accept any items. If your items do not sell, you must pick them up after the sale. If you do not, they become the property of the Hoofers Ski and Snowboard Club. All transactions are final. Refunds and exchanges will not be given. Hoofers cannot make exceptions to this rule. Lot 17 is a large parking structure in the Engineering Campus right across from the street from Union South and is the best option for close parking. For a map of the location, as well as more information, click here! A list of frequently asked questions can be found here! If you have any other questions, please email the Resale Director at resale@hoofersns.org!